Since 2002 Checkmate Pizza has been a favorite New Hampshire pizza delivery and sub spot because of our extensive menu and friendly service. In addition to handmade pizza and calzones, we offer cold or grilled subs & wraps and tasty fried sides including French fries and jalapeño poppers. Checkmate Pizza serves a range of pizza styles including traditional, pan, and Sicilian. Choose a combination of fresh meat and vegetable toppings or try one of our chef’s specialties for a unique experience. We are also the home of the 20″ pizza for those with large appetites! We offer made-to-order subs or choose from over 25 signature sandwiches and wraps (Checkmate’s wraps are made using our pizza dough!). Each signature salad or made-to-order salad comes with our homemade pita bread and famous Checkmate croutons. Checkmate Pizza Caters! Custom orders available for corporate or social events. Pizza is available for up to 300 people. Salad sheets, hot or cold sub sandwiches, wrap platters and specialty salad sheet pans are all available for your next special event. Checkmate Pizza is NH’s favorite pizza delivery & sub shop. It only takes one time to understand why people just can’t get enough. Order online for takeout or fast delivery (Dine-in seating not available). 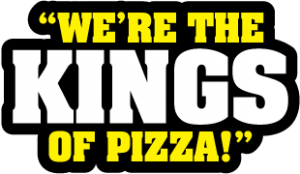 We’re the kings of pizza! We’d like to hear from you. Please submit feedback here. We never sell or share. Unsubscribe anytime.